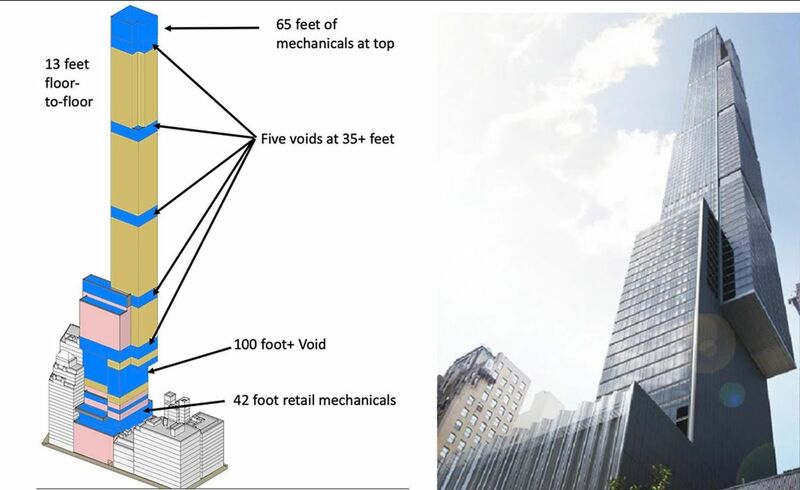 Village Preservation has been very critical of the City’s proposal to address abuse of zoning rules by developers who are filling buildings with ‘exempt’ empty spaces, referred to as “mechanical voids,” in order to increase the size and height of their buildings, and provide their sky-high condos (at sky-high prices) with even better views. The original plan did little to address the problem, and actually explicitly enshrined in law some of the abuses that developers have been practicing. We proposed several reasonable alternatives to actually address the problem, which has afflicted residential neighborhoods uptown and could eventually hit the Village. Map showing where supertalls with mechanical voids can currently be built (incl. Lower Fifth Avenue) and where the proposed new rules would apply. 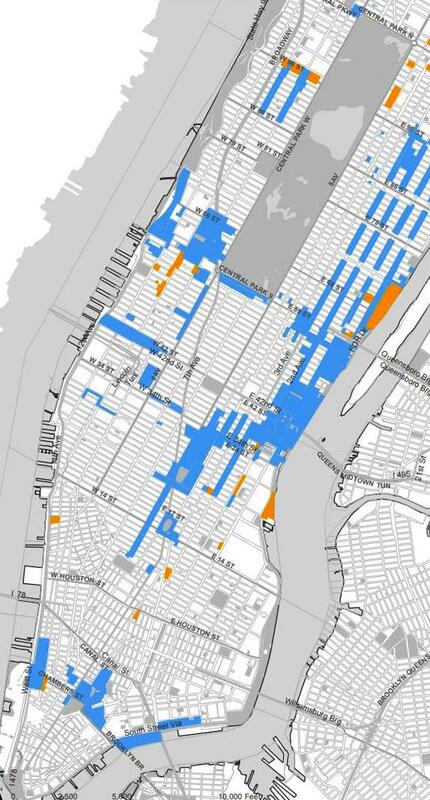 Outrageously, after hearing from the public that the proposed new rules were too lax and riddled with loopholes, the City actually voted to expand the loopholes, increasing the percentage of a building which can be taken up by empty, useless space from 25% to nearly 30%. Village Preservation joined fellow community groups and Assemblymember Linda Rosenthal and State Senator Robert Jackson – sponsors of State Legislation that would actually meaningfully address this problem – in condemning the move. The proposed new rules now go to the City Council, which can make some changes to them. 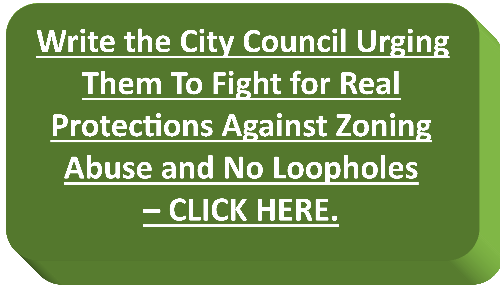 We are urging the Council to do so, and supporting the state legislation as a much more effective way of addressing this issue. The City’s proposed new rules regarding mechanical voids will be heard in the City Council’s Zoning Subcommittee on Tuesday, April 16th. You can also help by attending the City Council hearing on Tuesday, April 16th scheduled to begin at 9:30 am in the Council Chambers at City Hall. You can testify on the proposal, using this letter as model testimony.